Any company judges your personality, education and efficiency within seven seconds through the CV, which you sent to them through the email. It is correct that the CV is given only 7 seconds to scrutinize, when they are received for the job and during this department the HR department makes the decision that you are eligible to be called for interview or not. It is not an easy task to leave the positive impact of your personality and efficiency on any company and department in just 7 seconds. If your CV is made in impressive style, then it is not difficult that you may receive the interview call for the job. 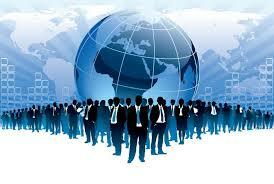 Provided that your CV presents your personal introduction and career detail in comprehensive and impressive style. The CV is the brief history of your present and past important performances, experiences and the tendencies. The main purpose of the CV is that the brief and comprehensive introduction of your professional life is to be conveyed to the relevant department so that they can watch it and they can select your for the interview and other processes. 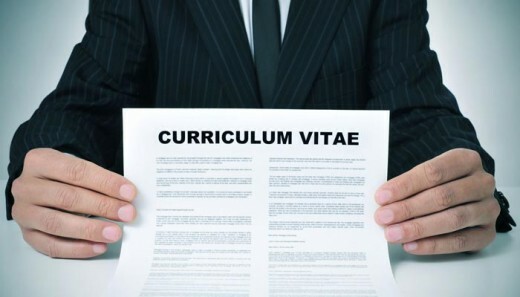 There is no perfect format to make an impressive and comprehensive CV. There are some of the important points for different departments and the experts lay down some of the basic rules to prepare the CV and the people associating with different departments can prepare the best CV. For which job you are sending the CV, you need to think over it. You should also think over the job and the department, where you are sending the CV to get a job. For example, what is the company and what it does. What kind of employees they are looking for? What are your particular skills to apply against this job? Keeping in mind all these things, start the preparation of the CV. The CV is not contained more than two pages. If you have more experience and capability, then do not exceed it more than three pages. Use the easy and traditional font to prepare the CV. Mention such information at the time of preparing the CV, which are necessary and avoid to use the unnecessary sentences in the CV. Use appropriate and impressive key words for the CV. At the time of writing the CV, you need to mention your personal information, for example, mobile phone, home address, email address, social media profile URL, LinkedIn ID etc. all the information must be correct, otherwise you will lose the interview call. Most of the students do not give the preference to the professional purpose at the time of making the CV but is very necessary. They should mention their capability and the purposes of their lives in a short sentence and tell what they want to become. What are their objectives and how they can be useful for the company. The interviewer should know already what sort of job you are looking for. The title of your profession must be written after the personal information. Most of the students are worried about their pictures whether they should add their photo or not in their CV. According to the views of the experts, the professional photo should be added in the CV. The CV is considered incomplete without it. Mention the detail of your past jobs that where did you do your jobs and what sort of work you have done during this period. You need to mention the performance certificate for showing the best performance during your past employments and the purpose is that what sort of jobs you have done in the past departments. Mention the qualities, which make you different from others. If you know more than one language, then also mention it. However, you should use impressive and brief sentences rather than the lengthy words. Do not forget to mention your educational qualification. Provide all necessary information relating to education in effective manner. Enter the degrees from matric to the last degree in short words but in the impressive style. You should keep in mind that the information, you are providing, should be correct. This part of your CV is also correct. You should mention your hobbies and interests in this part. You should mention such hobbies, which can be related to the jobs or the respective department. The departments have the different approaches about the references. You need to observe about the department before sending the CV. For the reference, you need to mention the information regarding such people, with whom you had the professional relationship in your past.